Researchers at École polytechnique fédérale de Lausanne (EPFL) and the Swiss Federal Institute of Technology in Zurich (ETH Zurich) have developed tiny elastic robots that can morph into various shapes depending on their surroundings. 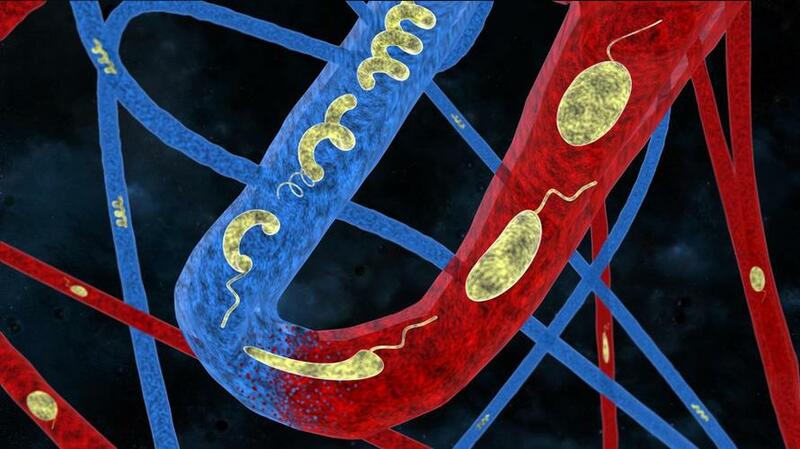 The group of researchers – led by Selman Sakar at EPFL and Bradley Nelson at ETH Zürich – were influenced by bacteria to design smart, biocompatible microrobots that are highly flexible and can reach hard to get areas in the body; they stand to revolutionize the targeted drug delivery industry by making it possible to deliver medication to any area of the body. "Because these devices are able to swim through fluids and modify their shape when needed, they can pass through narrow blood vessels and intricate systems without compromising on speed or maneuverability. They are made of hydrogel nanocomposites that contain magnetic nanoparticles allowing them to be controlled via an electromagnetic field," said EPFL, in a statement. In a report published in Science Advances, the researchers described how they designed the robot's shape so that it can efficiently travel through fluids that are dense, viscous or moving at accelerated speeds. The group integrated intelligence, in which the robot's physical being is adaptive to the surrounding. The bots are constructed with an origami-based folding design which allows it to deform to the most efficient shape for any given situation. Once inside the body, the robots can either be controlled by an electromagnetic field or they can be left to make their own path to the targeted area. Watch these tiny microbots in action as they travel through the human body to the targeted area.